Although we have some great national clients, we really like working with Dallas and Fort Worth SEO and search engine advertising clients. We offer a personal touch our clients appreciate. When you work with Advance Web Promotions, you work directly with either Don Williams or Harry Lennard, not a sales rep or customer support rep who are here today and may be moving on tomorrow. This provides you the benefit of dealing directly with the people who do the work and know the answers. And, as necessary, we’ll come to your office to review your results with you or discuss proposed changes. 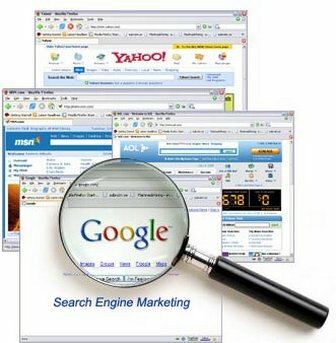 We want to be a longterm member of your team, providing Fort Worth seo and search engine advertising services that consistently provide you a good return on your investment. And we want to accomplish that by being a transparent as we can about the work we’re doing on your behalf. In the Fort Worth area, SEO is our lead service. SEO provides our Fort Worth and DAllas area clients additional web traffic from qualified prospects that is not subject to incremental clicks charges as the number of visitors increases. Depending on your online competitive situation, SEO is usually but not always the best solution to increase your website visitor traffic. We’ll complete a full audit or your website and explain the keywords that we can get you ranked on before you ever sign an agreement and pay us any money. It’s important to use that we meet or exceed you expectations for SEO services, and our upfront analysis helps us set realistic expectations. We’ve be doing SEO in Fort Worth for 16 years, and we’ve intentionally stayed small to provide our clients with the hands-on service that they expect and deserve. If you are interested in working with a straight-forward, honest business to increase your website visitor traffic, give us a call at 817-545-1188 or email us with the Contact Us form.